Note that this option is only available for award flights on Cathay Pacific or American Airlines metal via Hong Kong (HKG). Otherwise, you’re still limited to previous rules — requiring transatlantic flights when traveling to this region. Now you can fly Cathay Pacific’s incredible business class to India and the Maldives. 1. For those on the West Coast looking for a much shorter routing. Prior to this change, flying from the US West Coast to this region would require crossing the US, flying transatlantic, before finally connecting to your destination. Now, you can save stops and time by routing across the Pacific via HKG. 2. Anyone who wants to fly Cathay Pacific. Whether it’s in first class, business class or even economy class, Cathay Pacific service stands out from the rest. Remember, you can’t search for Cathay Pacific award availability on AA’s website, but you can use BA or Qantas to find availability. 3. Anyone on the East Coast looking to lengthen their premium-cabin experience. Flying from NYC to Mumbai (BOM)? 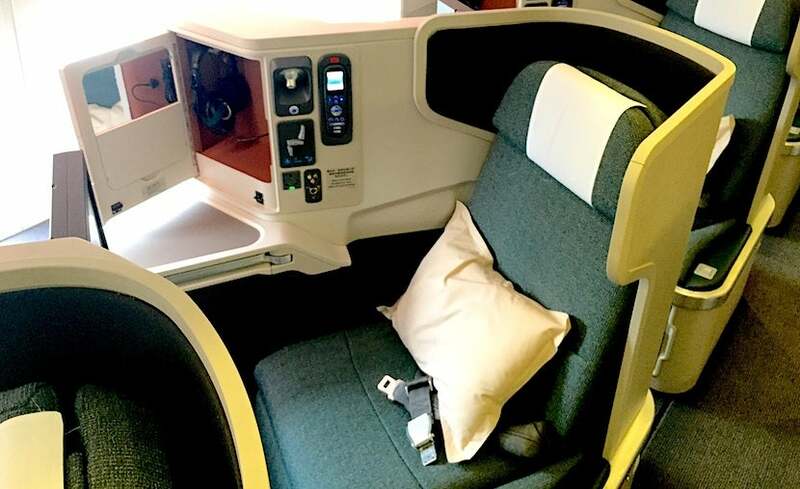 Why settle for 16 hours on board a decent British Airways Club World product when you can spend over 22 hours on-board spectacular Cathay Pacific business class. 4. Avoiding British Airways fuel surcharges. Unfortunately, many transatlantic AA award flight options are on British Airways — infamous for its hefty fuel surcharges on award tickets. Although there are ways to avoid flying British Airways when flying to Europe, there are very limited non-BA options if you’re required to fly transatlantic on your way to India. This week’s award chart change now frees travelers up to avoid British Airways’ fuel surcharges completely by routing through HKG. Cathay’s nonstop options from HKG to the Indian Subcontinent. Image courtesy of Great Circle Mapper. However, not all of these countries are accessible through Cathay Pacific’s routes. See the route map above for all of Cathay Pacific’s flights from HKG. The newly revised American Airlines partner award chart. While AA’s award chart has recently gone through significant negative changes, there have also been some positive changes. We’ll certainly count this change among them. The option of flying transpacific via Cathay Pacific should make it easier — and more comfortable — to make such a long journey to this region.